The first step is to meet and discuss your event vision, goals and budget. If you hold several annual events, we’ll explore possibilities and schedules for these. Need inspiration? We offer that too, suggesting creative options to get your unique story or brand across. You’ll discover more about our streamlined, bespoke services and why outsourcing event coordination to us is a smart and affordable option. We’ll prepare a detailed contract, outlining internal and external responsibilities and timelines, along with a customized quote based on your preferences and targets. Once any changes have been discussed and included, and the contract is signed, it’s time to start planning. Client goals and objectives are always our priority and these shape even the smallest details. Clear communication is key so, as outlined in our service agreement, we’ll collaborate and share documents online as required, with monthly in-person meetings to keep everything on track. On-site management for the duration of each event ensures all goes to plan. Our proactive approach helps us anticipate all possible outcomes, allowing clients to relax, confident that the event will be a success. Post-event, we’ll meet in person for a detailed one–hour assessment of vendor relationships, goal fulfillment, guest feedback and more, evaluating what worked and what could be even better next time. 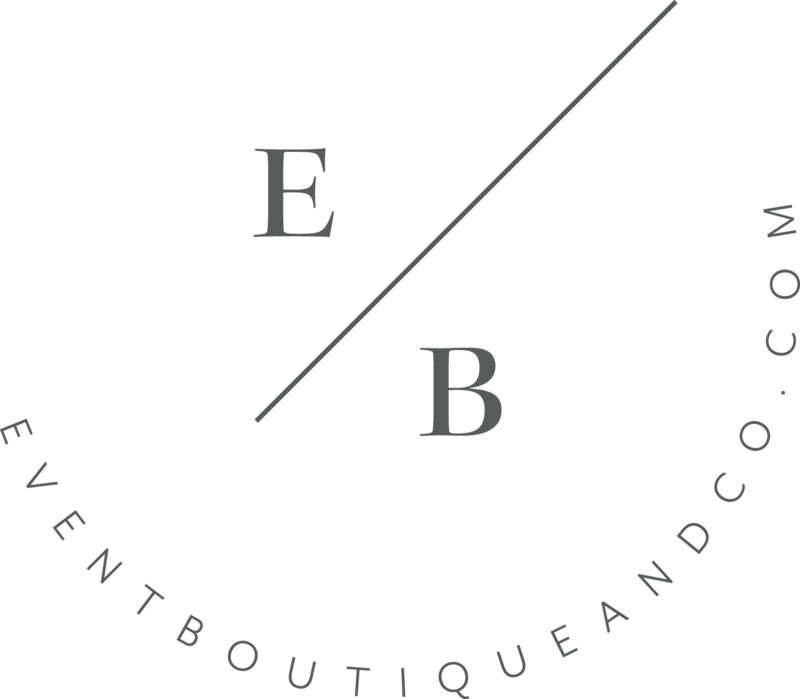 Event Boutique & Co. thrives on successful events and ongoing client relationships. Quite simply, we believe in making every event special, creating memorable, positive memories for you and your guests. The end of the event is often the beginning of an ongoing partnership, so part of our follow-up often includes scheduling the next project!